Looking for weatherproof windows for your Portishead home? Look no further! Whilst we all know Portishead is a lovely place to live, the fact that it’s a coastal town means it’s windier than most places in North Somerset. As we reach the tail end of Summer and colder weather approaches, you should be looking to ensure that your windows are weatherproof, meaning they’re able to keep you warm no matter what’s happening outside. Our windows are double-glazed, meaning they’re sturdier and more thermally efficient than your average windows. What makes our windows weatherproof? As previously mentioned, our windows use double glazing to make them weatherproof, but what exactly is double glazing? Simply put, double-glazed windows have two panes of glass with a pocket of argon gas between them so the heat from your home isn’t lost as easily. Glass itself is an exceptional conductor of heat so the heat passes through it with ease but when you add a pocket of argon gas, the heat struggles to get past as it’s met with a poor conductor of heat, leaving you and your home warmer. 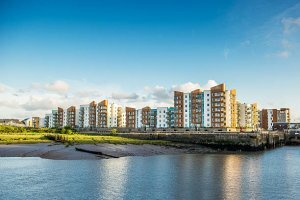 At Associated Windows we’ve had the pleasure of installing hundreds of windows and doors in Portishead and we’re looking to install even more! 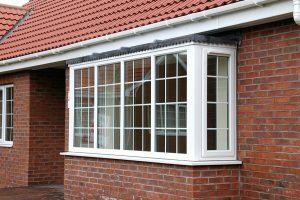 We have unparalleled knowledge of the property styles in Portishead which makes us your best bet when it comes to installing windows. Regardless of property style, whether it’s a traditional period home or a more contemporary build, we’ll always have something to suit your needs. All our windows come ‘A’ rated as standard, meaning that once we’ve installed them you can enjoy a warmer and more energy efficient home, which helps you save money on future financial bills. Associated Windows don’t just install incredibly efficient windows, we also offer a variety of glazed home extensions, doors and roofline products. We cater to all homes within a 20-mile radius of our Filton HQ near Bristol. If you’re interested in making sure your windows are as weatherproof as they can be, get in touch with us or browse our website.